Dietician Attempts to Disprove "Nutrition Myths"
In celebration of International Nutrition Month, Melissa Kolmel (a registered dietician) took to the streets in an effort to inform the public about some of the most common misconceptions regarding nutrition. In a recent article that was published in the Fort McMurray Today (Canada), Kolmel dispels, what she believes, are the six most common nutrition myths. 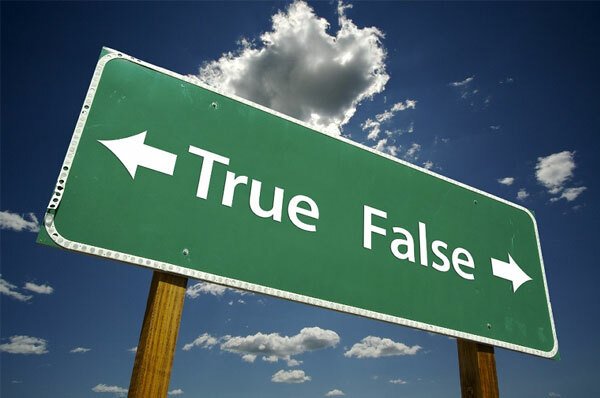 In an effort to put some of these myths to rest, Kolmel presents, in the majority of the suggestions, some logical recommendations; however, much of the information that is presented is limited, and sometimes heavily based on Canada's Food Guide. In order to help you better understand these myths and subsequent recommendations, we will attempt to provide you with information that will hopefully broaden your understanding so that you can better discern the recommendations for yourselves using your own judgement and feelings. With anything, Kyla and I are dedicated in putting the knowledge into your hands, so that you can empower yourselves to make informed choices, rather than relying so much on third party opinions. Never cease in asking questions, for if you do, you have surrendered your power, and thus, freedom of choice. Myth # 1. "Avoid carbs if you want to loose weight": This can't be farther from the truth. We generally agree with Kolmel's assessment, in that "carbs" (carbohydrates) are essential in everyone's diet, and that many people have been led astray with all these diet fads that tell people to avoid carbs altogether. As Kolmel explains, "Foods that contain carbs have important nutrients like the B vitamins, fibre, folic acid and iron." This is true. Carbohydrates (carbs) are not only important in their macronutrient profile, but also offer us many important essential vitamins and minerals. Further to this assessment however, Kolmel fails to mention some healthy sources of carbohydrates. Essentially, we want to ensure that our food is both organic and local as much as we can. Also, we want to avoid eating packaged food. These types of food are not only littered with food additives and preservatives, they lack the essential micronutrients our body needs. For this reason, we recommend, eating whole foods as often as possible, so that your bodies can benefit in the long run. Myth # 2. "The percentage daily value on the product’s nutrition facts table isn’t very useful": This statement is more factual than mythical. Although Klomel indicated this as a myth, she wasn't all that forthcoming as to why. Certainly, with anything, something is only useful if you deem it to be so, or there is proper education on how to use it. In the Case of % or DV (Daily Value), sometimes it is hard to trust figures that have been arbitrarily set, and in most cases are outdated. Studies have recently shown that high dosages of vitamin D (40,000 - 80,000 IU a day) is perfectly safe in clinical trials. Based on the DV for vitamin D, the IU (International Units) are set at 400 per day. Based, on some of the research and information that has come forth, most of these projections are actually quite low. We also have to take into account that not everyone is built equally, in their nutritional needs that is. We all have different metabolic processes, and thus different nutritional requirements. For this reason, if you required more vitamin C intake per day than the "average individual", your DV would be higher. In this case, % of DV would not necessarily apply to your personal needs. Always ensure to have your blood tested regularly to see what nutrients are needed and what can be avoided. Myth # 3. "Eating seven to 10 serving of vegetables and fruit as recommended in the Canada’s Food Guide is too difficult": We certainly agree with this myth. The Canadian Food Guide has its flaws in that it provides the same guidelines to everyone. The problem with this is that everyone has different nutritional needs based on metabolic processes. We can't simply lump an entire population under one set of guidelines and expect everyone to be healthy. It doesn't work that way. Some people require more carbohydrates in their diet, and some less. Some others require more protein, and some less; and some need a mix of both. Generally speaking, we have to get our mind set out of thinking that there is a magic bullet for everything. We have to start listening to our own bodily needs, and allowing our instincts to lead us in the right direction. The other problem is that people are not eating enough fruits or vegetables because quality produce is not widely available in many parts of the developed world. It seems that we have become addicted to the wrong kind of fruits and or vegetables - those that come in a can or have been highly processed. No wonder our tastes for good quality food has dwindled over the years. Our options of good quality food are increasingly limited, and our taste buds are over stimulated with all the sugar and salt we are eating, that it leaves otherwise healthy choices tasteless. Next time you're buying groceries, why not consider giving organic produce a try or even get acquainted with your local farmers. Myth # 4. "Whole grain is the same as multigrain. ": We agree that this is a myth. As Kolmel states, multigrain and whole grains are completely different. A whole grain signifies that the entire composition of the grain was used in making a particular product. On the other hand, a multigrain only really points to the use of a variety of grains in a particular product that may not entirely use whole grains. As there is a significant difference between the two statements, Kolmel fails to expand on these concepts. When ingesting grains, we want to ensure they are in the whole, unadulterated form. Through processing, many of the important constituents of a particular food substance, in this case grains, gets destroyed; leaving the end product unfavourable for ingestion. When considering which grains to ingest, it is best to choose those grains which are whole and organic. We also want to ensure that we avoid wheat, or its by-products (including spelt, kamut, triticale, contaminated oats) if we are gluten intolerant. In order to avoid the confusion altogether, simple stay away from pre-packaged food. Myth # 5. "You’ll gain too much weight if you follow Canada’s Food Guide because it recommends eating too much food": If we look at this statement more closely, it has some truth to it.If everyone followed the Canada food guide, some may gain too much weight, while others may not. This is because of two very distinctive reasons. One, as mentioned before, everyone is not built to eat the same thing. One person's food is another person's poison, and vice versa. It is completely illogical to apply the same diet to all people. Two, Canada's Food Guide does not always recommend the healthiest foods, and the most accurate servings of each group. In providing people with foods that are riddled with food additives, processed salt and sugar, and completely devoid of nutrients, it's hard to imagine that people would not gain weight eating these types of foods. Many of the nutritional guidelines we see and use today were heavily lobbied by industry in order to secure business, and are still funded by the same groups today. What you see is not always in the best interest of the public. In effect, ensure that you are eating as close to nature as possible. Whole, unadulterated food as well as eating according to your metabolic type is by far your best option in keeping the weight off. Myth # 6. "Energy drinks are the best way to get energy. ": We completely agree with Kolmel here. Energy drinks are certainly not a viable option for energy. They simply give us a quick, temporary high through sugar and caffeine, however this high or energy burst tends to recede very quickly leaving many who consume the product feeling tired and drained. The best way to increase your energy is through high quality water (such as spring), quality, organic, whole foods, plenty of exercise daily, and quality sleep. This is by far the greatest myth within the article. Always ensure to listen to your instincts when determining what is good for you. The only one who is looking out for your health is you!